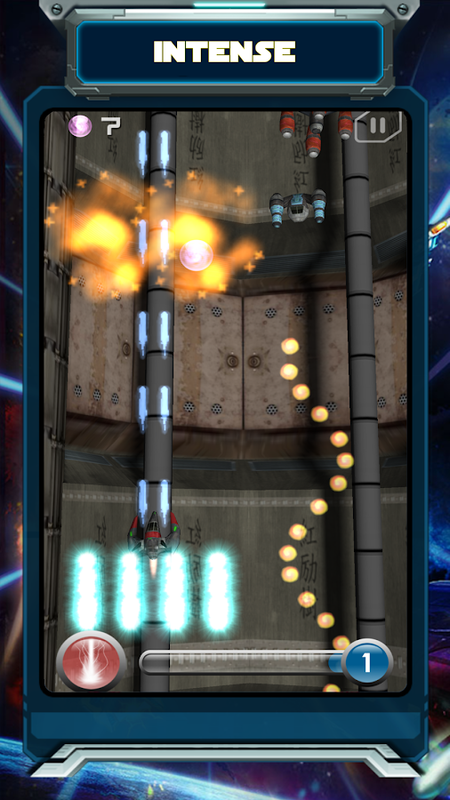 Galaxy Wars 3D is a space shooter game,inwhich you can move your ship to any position. Galaxy Wars 3D is a new kind of sci-fi survival game. Tosurvive,you must be constantly prepared for attacks by othercaptains andalien species while gathering and looting resourcesthroughout thegalaxy. Take part in conflicts, revolts, invasionsand wars betweenhumans and unknown creatures. Upgrade your ships,research andevolve new technologies and bulid your forces. Grow,thrive, andbecome the strongest captain in the universe! Enjoy while playing Galaxy Wars 3D! Galaxy Wars 3D is a space shooter game,inwhich you can move your ship to any position.Galaxy Wars 3D is a new kind of sci-fi survival game. Tosurvive,you must be constantly prepared for attacks by othercaptains andalien species while gathering and looting resourcesthroughout thegalaxy. Take part in conflicts, revolts, invasionsand wars betweenhumans and unknown creatures. Upgrade your ships,research andevolve new technologies and bulid your forces. Grow,thrive, andbecome the strongest captain in the universe!Upgrade your spaceship with the following upgrades:- Weapon- Attack Damage- Attack Speed- Cannon- Life- Energy- Shield..Enjoy while playing Galaxy Wars 3D! galaxy war raidena fast-paced top-down perspective space shootergameThis is an action game with spacecraft that will exploredifferent planets in the universe, each planet has a differentenemy which acts differently. Fly through the space and destroyenemies! 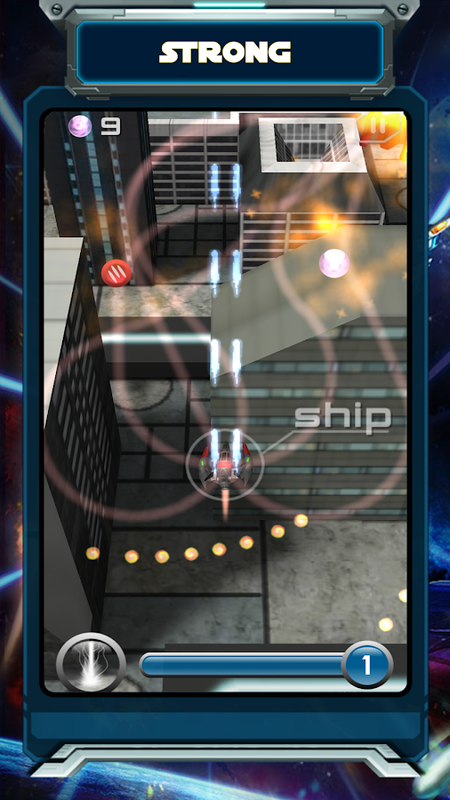 Just touch and drag the plane of Space War in anydirection to avoid enemy bombs. To shoot, simply click on themissile button. Required skills are more than fast reactions andmemorising enemy attack war patterns. The player must also havestrategy skills to equip proper upgrades and use the appropriateskills during specific space missions.To move your spaceship slideyour finger on the screen of your mobile or tablet. Talk fastbefore being destroyed. In each level you have up to 3 lives beforeyour ship is destroyed, but every time you lose a life, your shipwill get damage, which will make you lose visibility. How toplay:-Drag the fighter to move.-Tap the Skill button to release theskill.-Tap the Shop button to enter the shop.-Tap the Settingsbutton to display the game setting interface. With this game youwill spend pleasant moments war, enjoying flying and fighting withall kinds of fighter jets and war. You will participate in epicspace combat. Enjoy this breathtaking space war! RIGHT NOW!Do notforget to rate and comment on the game on Google Play Store forimprovement. In a very distant galaxy, the planet Gaas suffers with the invasionof an alien race called Schucknídios. Just ship of captain Ruldolphhas survived . Help him to defeat the Schucknídios and free Gaasfrom this threat. A fun game for all ages. Space Galaxy Shooter War, galaxy war, stricker, Aircraft War orspace shooter is two-dimensional fixed shooter game.In thegalactic, the player controls a spaceship by moving it and firingat descending aliens. Like a sky destroyer, the aim is to defeatspace shuttle of invaders. 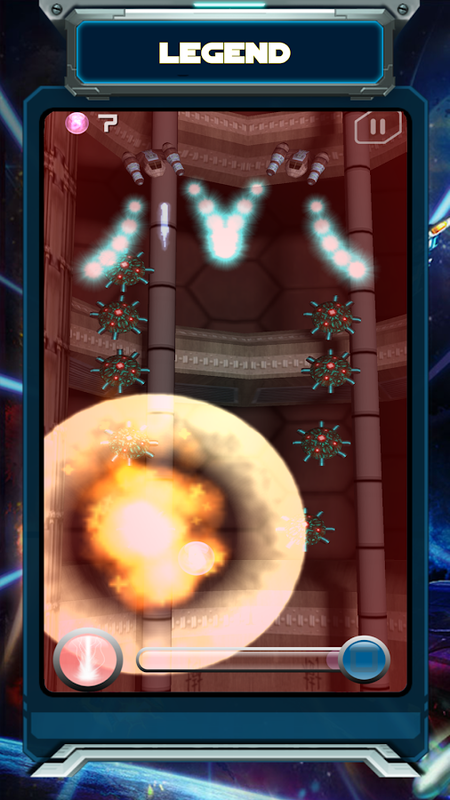 The player defeats sky invader, andearns points, by shooting it with the squadron . As more aliens aredefeated, the aliens movement and the game's music both speed up.Defeating the aliens brings another wave that is more difficult, aloop which can continue without end.Space Galaxy War attempt todestroy your spacecraft by firing at it while they approach thebottom of the screen. If they reach the bottom, the alien invasionis successful and the game ends. A special "mystery ship" willoccasionally move across the top of the screen and award bonuspoints if destroyed. Your spacecraft is partially protected byseveral stationary defense bunkers that are gradually destroyed bya numerous amount of blasts from the invaders or playerIf you arefan of Galaxy War, you must play Space Galaxy War now and become ahero protect your galactic that your destiny.★ ★ ★ Features ★ ★ ★-Charming sound and music, with HD graphics.- Precision controls.-Space shooter and upgrade your weapons: efficient absorption,wingman support, vulcan camon, storm lightwave, energy shield,sacred salvation.- Invaders of 12 big boss.- Galaxy war andcomplete 30 achievement.- Galactic War with 4 spaceship withanother power: rocket, laser, light and strongest soldiers. Galaxy shooter 2 invaders HD is a fast-paced top-down perspectiveshoot space war game.Required skills are more than fast reactionsand memorising enemy invader attack patterns.This space shooter isan exciting addictive epic galaxy war game with 120+ missions, 100+invaders and a lot of spaceship upgrades.The player must also havestrategy skills to equip proper upgrades and use the appropriateskills during specific space missions over 16 star systems to guardthe galaxies.Start your spaceship engines and join to this ultimategalactic war game.Features:High quality images optimised fortablets and large screensGalaxy shooter Invaders HD is a sequenceto space invadersDifferent alien races, guardians, hundreds ofinvaders to fight againstAbility to use active skills during thespace battlesFully customizable spaceships with hundreds ofupgradesExciting boss fights100+ missions in unlockable galaxieswith multiple difficulty levelsGameplay Tips:If you ran out of LY,you can finish accomplished missions again to get more. Rerunning amission on Hard difficulty increases the LY gain. Equipped specialmodules can be used as active skills once within their cooldowninterval. Equipped upgrades are passively modify your shipproperties. If you find a mission too hard, finish another missionfirst! You may also change difficulty setting to Easy for thatspecific mission.Different enemies may require differentstrategies. Although a weapon with great amount of damage can beefficient against large and strong enemies, weapons with smallerdamage but fast rate of fire could be better against smaller foes. 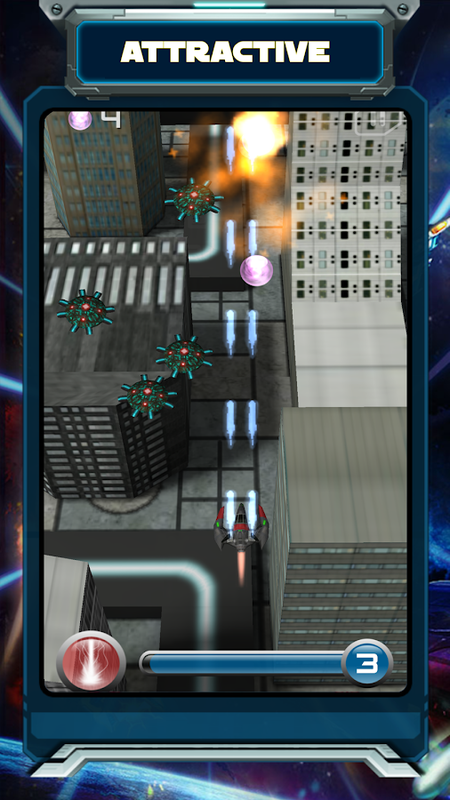 Galaxy Shooter Pro edittion is afast-pacedtop-down perspective shoot up space war game. Requiredskills aremore than fast reactions and destroying the enemyships.This galaxy shooter is an exciting addictive epic galaxy wargamewith 50 missions.The player must have strategy skills to avoidanddestroy Asteroids and Enemy Ships .Start your spaceship enginesandjoin to this ultimate galatic action game.Aboard your spacecraft, you will have to get rid of a largenumberof enemies while dodging their attacks. Will you be skilledenoughto understand your enemies strategy and attackpatterns?In this "bullet hell" shooter heroes game, you will be faced withanincreasingly large number of projectiles and enemies. As thegameprogresses, you will earn the right to upgrade your spacecrafttobring it to full lethal capacity.Features:★ Fancy some old school space shooting★ High quality images optimized for tablets and large screens★ Different Asteroids interns of shape, size, speed and color★ 50 missions in galaxies.★ Ability to use active skills during the space battles.★ Exciting fights with different enemy ships having differentformsof explosives like bullets and ballistic missiles. Space Galactic Wars, Aircraft War, Spaceintruders, Galaxy war, STRIKERS 1945 or space shooter istwo-dimensional fixed shooter game.In the galactic, the player controls a aircraft by moving it andfiring at descending aliens. Like a sky destroyer, the aim is todefeat spacecraft of invaders. your aircraft defeats sky invader,and earns points, by shooting it with the squadron . As more aliensare defeated, the aliens movement and the game's music both speedup. Defeating the aliens brings another wave that is moredifficult, a loop which can continue without end.Space intruders attempt to destroy your aircraft by firing at itwhile they approach the bottom of the screen. If they reach thebottom, the alien invasion is successful and the game ends. Aspecial "mystery ship" will occasionally move across the top of thescreen and award bonus points if destroyed. Your aircraft ispartially protected by several stationary defense bunkers that aregradually destroyed by a numerous amount of blasts from theinvaders or playerIf you are fan of Galaxy War, you must play Space Galactic Warsnow and become a hero protect your galaxy that your destiny.★ ★ ★ Features ★ ★ ★- Charming sound and music, with HD graphics.- Precision controls.- Space shooter and configure fighter: speed, armor, bulletstrength, bonus strength.- Highs core with 8 Aircraft.- 8 missions per Aircraft.- Invaders of 8 big boss.- Galactic War with 6 Aircraft with another power: fantan,lightning, mohawk, warhawk, thunderbolt, ascender. Our beautiful galaxy is under attack ofinvaders. They destroyed all of squadron.You are last hero of Earth, take control of a lone spaceship, getthe force from air and strike swarms of galaxy invaders.Space shooter: Galaxy attack is a game of shoot 'em up video gamefrom 1945.In this space shooter game, you will be faced an increasingly largenumber of enemies and deal with many epic bosses in spacewar.As the processes, your spaceship can upgrade lethal capacity orunlock mini sky force to support your spaceship and show them whois the master of galaxy.FEATURE- Simple controls that don't need a tutorial.- More than 50 levels with various difficulty levels for everyoneto enjoy from beginners to veteran.- Conquer mini-bosses and epic bosses with dominating skills.- Thrilling fun maximizing the space shooter game feeling.- Unlock very useful mini-ship that follow you and shoot thesegalaxy invaders.- Amazing graphic design for this game.CONTROL- Screen slide to move spaceship. The spaceship auto shoot.- Bomb button touch: Fire a supper bomb to destroy all enemies andtheir cartridge.- Collect sky force items to upgrade or change your weapons. - Travelling in space across the galaxy using the accelerometer ofyour mobile.- Bombing all types of asteroids but beware of inversebombing from some of them. 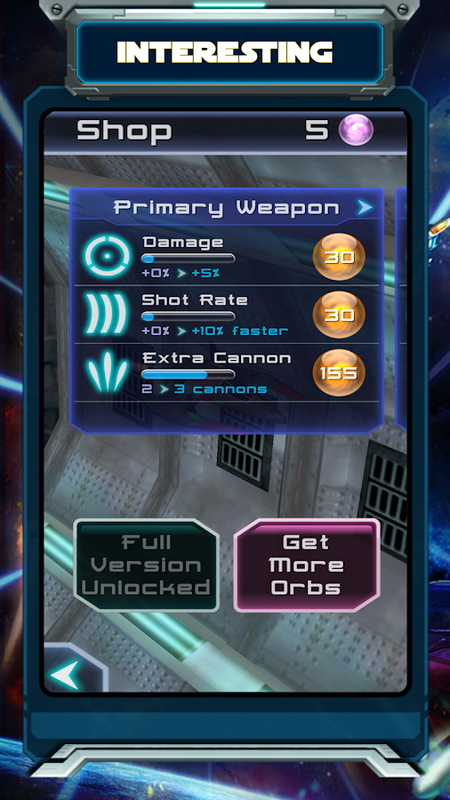 - Strengthen your shots to succeed to bethe best shooter of the Galaxy. You have three lives to get there.